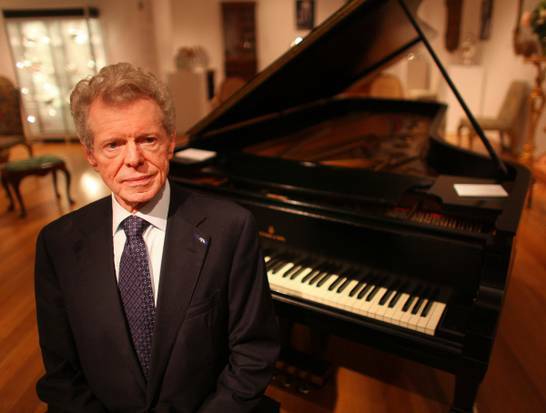 Renowned American classical pianist Van Cliburn has died aged 78. Van Cliburn died at his home in Fort Worth, Texas on 27 February, after suffering from bone cancer said his publicist and long time friend Mary Lou Falcone. In 2010, President Barack Obama awarded him the National Medal of Arts. Van Cliburn was diagnosed with advanced cancer two years later in August 2012. Born Harvey Lavan Cliburn, Jr. in 1934 in Shreveport, Louisiana, he began taking piano lessons at the age of three from his mother. Van Cliburn entered the Juilliard School in New York at the age of seventeen. After winning the Tchaikovsky Prize in Moscow aged 23, Cliburn received international recognition. He returned to New York to a ticker-tape parade – the first time for a classical musician. Van Cliburn performed for every US president since Harry Truman, the 33rd President of the United States, who was in office from 1945 – 1953. President George W. Bush presented Van Cliburn with the Presidential Medal of Freedom – the nation’s highest civilian honour – in 2003. In 2004, Van Cliburn received the Order of Friendship of the Russian Federation from Russian President Vladimir Putin. In 2010, President Barack Obama awarded him with the National Medal of Arts for his contribution as “one of the greatest pianists in the history of music”. “Mr. Cliburn has reached across political frontiers with the universal message of beautiful music,” said Barack Obama at the ceremony. He set up the Van Cliburn International Music Competition in 1962 which showcases the world’s top pianists every four years. The 13th Cliburn competition, held in 2009, made history when a blind pianist from Japan, Nobuyuki Tsujii, and a teenager from China, Haochen Zhang, both won gold medals. They were the first winners from any Asian country, and Tsujii was the first blind pianist to win. Van Cliburn made what would be his last public appearance in September last year at the 50th anniversary of the prestigious piano competition named for him. “Never forget: I love you all from the bottom of my heart, forever,” he said to a standing ovation.